Stecoah Gallery's online store. Kay Harvey and Connie Sutter photograph one of the many hand-crafted items that are now available on the Gallery's new online store. Look for many more items coming soon at StecoahGallery.com. Blue Ridge Music Trails Includes Stecoah Valley Center — A new mountain music guidebook and companion website promotes the rich traditional music heritage in Western North Carolina, including the programs you enjoy at Stecoah Valley Center. Blue Ridge Music Trails of North Carolina is a cooperative project of the Blue Ridge National Heritage Area Partnership and the North Carolina Arts Council. You’ll find Stecoah Valley Center on page 216. The book features a CD with 26 songs by musicians profiled in the book, historic recordings of the region's most influential musicians spanning nine decades — available for the first time here — and songs based on true stories of love, crime, and tragedy set in the North Carolina mountains. The $20 book with CD is now available at the Stecoah Artisans Gallery; and can be purchased online at the Blue Ridge National Heritage Area website. NEA Gives $10,000 to The Center For Concert Series – December 1, 2012 - The National Endowment for the Arts (NEA) has announced that Stecoah Valley Cultural Arts Center is one of 832 non-profit organizations nationwide to receive an NEA Art Works grant. Stecoah Valley Cultural Arts Center is recommended for a $10,000 grant to support the 2013 An Appalachian Evening Concert Series. 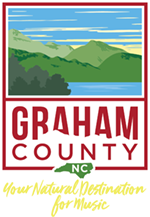 Stecoah Valley Center Featured on WLOS-TV's 'Road Trippin' — Asheville's WLOS-TV Channel 13, recently featured Stecoah Valley Center and four other Graham County locations in its morning 'Road Trippin' segment. Angie Newsome, Editor of the Carolina Public Press, writes of her conversation with retired Stecoah Valley Center Director Lynn Shields. May 24, 2018 saw the grand opening of our newest addition, “Courtyard of the Cherokee” - an outdoor arts and culture exhibit that authentically represents the seven clans of the Eastern Band of Cherokee Indians. The exhibit is intended to educate and bring awareness to the public about the Eastern Band of Cherokee Indians, especially the Snowbird Community in Graham County. The courtyard’s focal point is an Eternal Flame sculpture created by Nathan Bush, JR Wolfe and William Rogers of Rogers Metals. 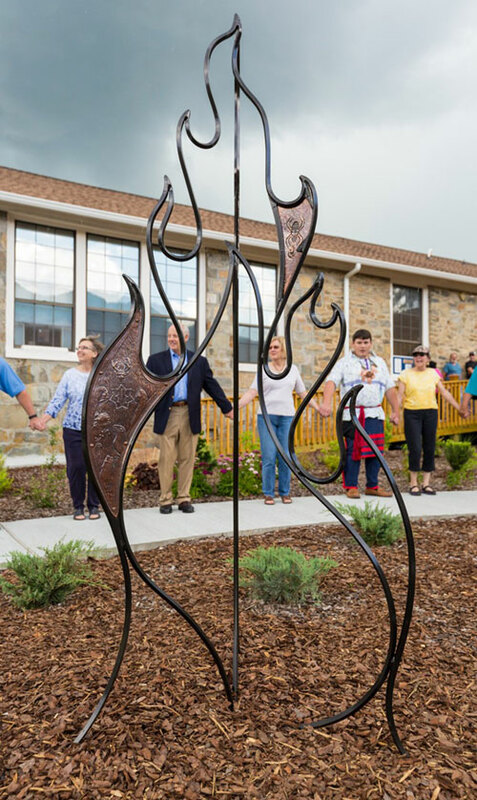 The sculpture features pounded copper elements that depict the seven clans and the Cherokee legend of the spider attached to a steel flame base. Exhibit panels designed by Anna Fariello of Curatorial Insights bring awareness of the Cherokee syllabary and the headers are translated into the Snowbird dialect which is different from the Cherokee dialect. The next phase of the project is artisan support and public education through Cherokee art classes and marketing of the exhibit. The project was funded by the 2017 Joy W. Pope Memorial Grant in the Arts from The John William Pope Foundation. 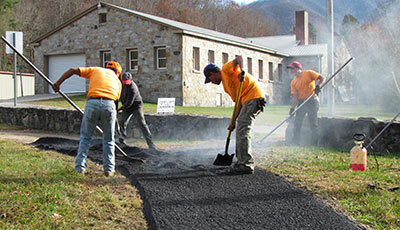 The Cherokee Preservation Foundation also awarded a grant for landscaping design and artwork and a subsequent grant for programming and marketing of the Courtyard. The Site Design Studio of Asheville, NC designed the courtyard and the landscaping was done by Taylor’s Greenhouse of Robbinsville, NC. 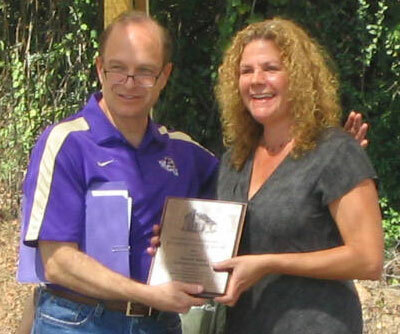 Western Carolina University Chancellor David O. Belcher presents the 2011 Mountain Heritage Award to Stecoah Valley Center, represented by its Executive Director Beth Fields, at the University's 37th Annual Mountain Heritage Festival, Saturday, September 24, 2011. Appalachian Music Lessons and Theatre Program Highlight 2017 Afterschool Program. The 21st CCLC-funded After School Program at Stecoah has been very busy with a new theatre program, Appalachian Musicians kids classes, STEM activities and tutoring. Students have been rehersing for their roles in "Mixed Up Fairy Tales" which will be presented on May 4th at 5:00pm in conjuction with the final Appalachian Musicians recital. Stecoah Trail is Now Paved – The 1/3 mile trail at Stecoah is now paved, completely handicap accessible and open to all thanks to the good work of HMC Paving and the support of GREAT (Graham Revitalization Economic Action Team), Graham County Step Up Diabetes Coalition, Marshall University, and Bristol-Myers Squibb. 11/12. Stories of Mountain Folk – On Saturday, April 7, 2012, SVC Executive Director Beth Fields appeared on the Internet radio program, Stories of Mountain Folk, presented by Catch the Spirit of Appalachia. 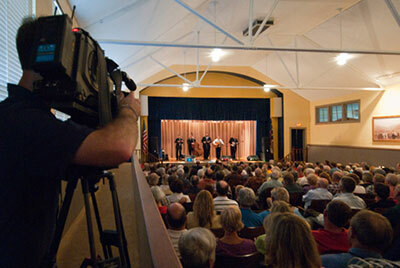 UNC-TV has featured Stecoah's An Appalachian Evening on its "North Carolina Weekend" show. Deborah Holt Noel and her crew came out for dinner and a show featuring Balsam Range. (view the segment). Reba Louanne Jenkins from the Textile Studio appeared on the November 18 Craft Corner on WLOS-TV (Asheville). She demonstrated how to make an easy quilt pillow. WDEF-TV in Cleveland, Tennessee interviewed Jim Rogers about Stecoah's programs. WNC Magazine featured our culinary workshops calling them "a memorable experience pairing food, friends and instruction."